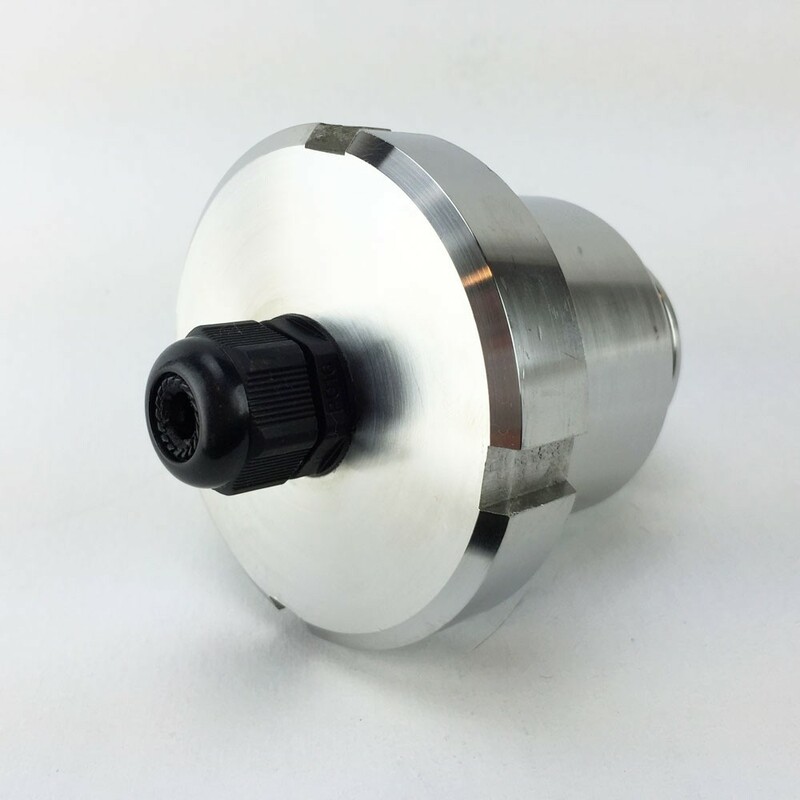 One-piece adapter with a thread-on cap to cover the element connection for Electric brewing. Includes a cord strain relief and internal grounding screw. 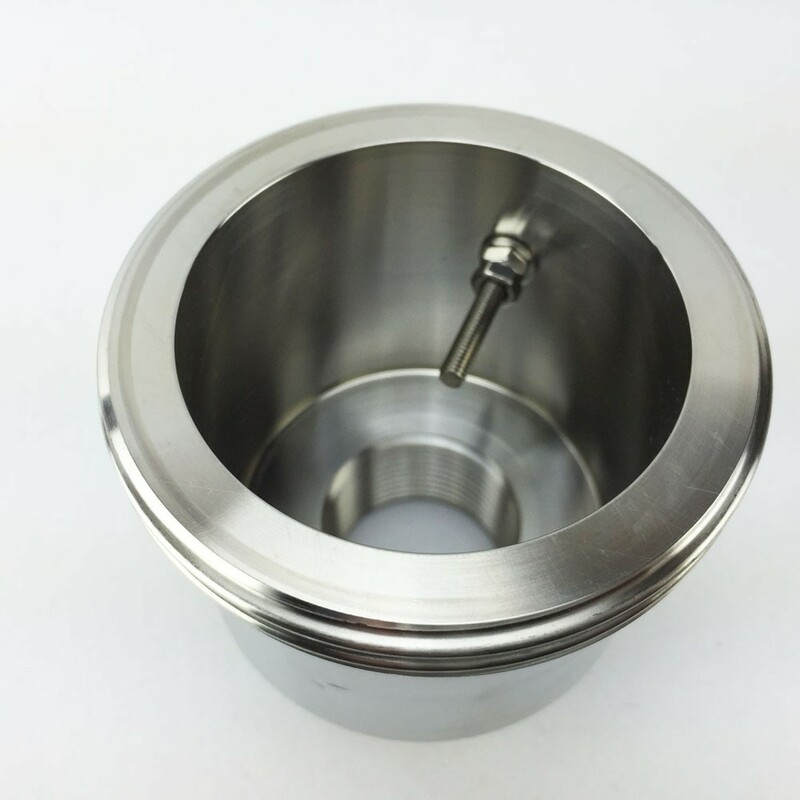 An ideal fitting for adding elements to kettles for electric brewing. 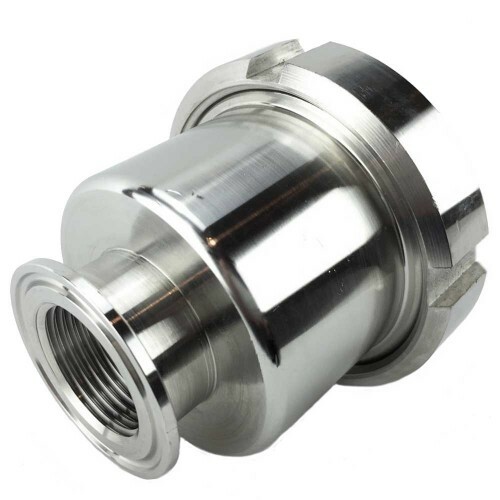 This fitting is made to adapt a 1" NPS heating element into a 1.5" Tri Clover Clamp Compatible fitting. 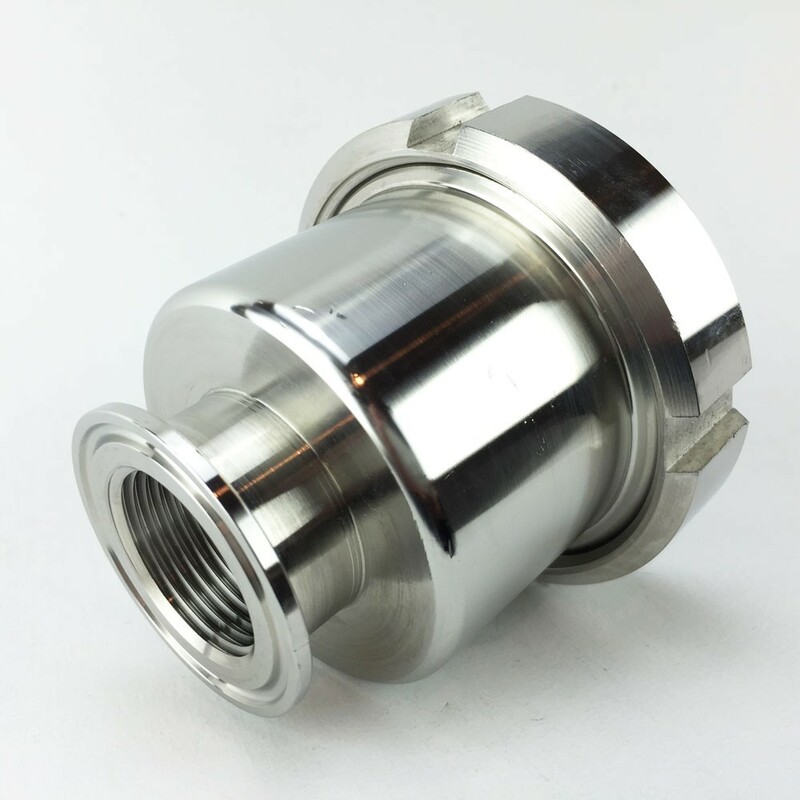 The fitting is a one-piece CNC machined adapter with a thread-on cap to cover the element connection for Electric brewing. Includes a cord strain relief and internal grounding screw. An ideal fitting for adding elements to kettles for electric brewing. This design does not work with RIPP wavy elements, This part requires electrical work that should be done by a licensed electrician. It is suggested that you do all the proper research before buying and using this product because it does involve electricity.